Who We Are? - We are the terrier kings! 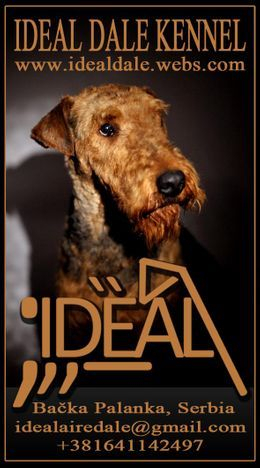 At kennel Ideal Dale, we are focused on breeding Airedale terriers with the highest level of healthy and quality of dogs – we will do everything to product best dogs and present the breed Airedale Terrier in its full glory, because he really is the King of Terrier!!! With a variety of offerings of parents that we carefully choose, we’re sure you’ll be happy with our puppies and our works. Look around our website and if you have any comments or questions, please feel free to contact us. We hope to see you again! Check back later for new updates to our website. There’s much more to come! Želite li najboljeg psa? Onda je sigurno da je to Erdel teriejer!!! U odgajivačnici Ideal Dale, fokusirali smo se na uzgoj Erdel terijera sa najvišim nivoom zdravih i kvalitetnih pasa - mi ćemo učiniti sve da proizvedemo najbolje pse i predstavimo rasu Erdel Terijer u svom punom sjaju, jer je on zaista Kralj Terijera!!! Uz razne kombinacije roditelja koje pažljivo biramo, sigurni smo da ćete biti zadovoljni sa našim štencima i našim sveukupnim radom i zalaganjem. Pogledajte sve naše stranice, i ako imate bilo kakve komentare ili pitanja, slobodno nas kontaktirajte. Nadamo se, da vas opet vidimo na našoj web prezentaciji! Proverite kasnije, moguće nove promene i novosti na našoj web stranici. 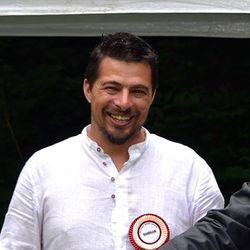 Born in Bačka Palanka, Serbia in 1980. Graduated at the Civil Engineering Faculty Subotica. He is a married and proud father. 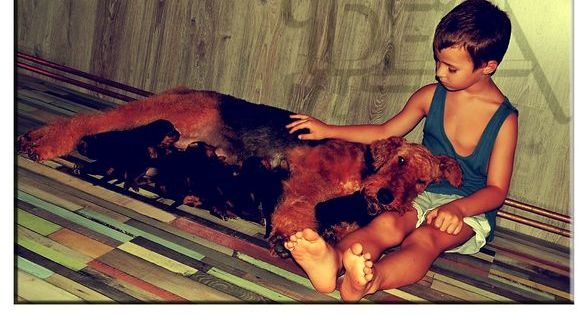 Mr. Karanovic grew up in a family dealing with the breeding of the Deutscher Jagdterriers, and still in the early childhood shows love and passion for dogs with special reference to the terriers. In 1992. with his first dog, begins his dog show exhibition career and becomes the youngest member of the local cynology club. He is actively engaged in the exhibitions of dogs, is involved in the activities of the cynology society and is paying special attention to organizing a dog shows in his hometown. Since 2011, Mr. Karanović has been the president of the Elit cynology Club. 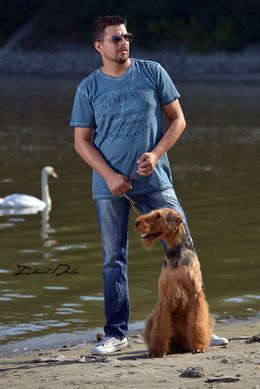 Also, he has been a coordinator and leader of the Elit Dog Festival since 2010. In addition, this festival has included more specialty exhibitions for particular groups and breeds of dogs of the third FCI group apart of to the National Dog Show of all breeds. 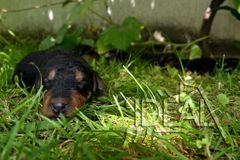 Moreover, he is one of the founders of Airedale Terrier Club of Serbia. Additionally, Mr. Karanović shows interest in dog grooming. In 2012. he has earned a diploma from a professional grooming specialist, specializing in trimming and striping the wire hair dogs. 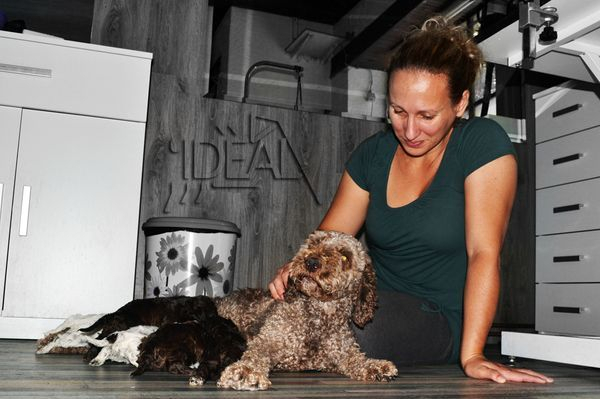 In the partnership with his wife he is the owner of grooming salon and dogs hotel named “Ideal” in his hometown. Mr.Karanovic has been breeding dogs for two decades. 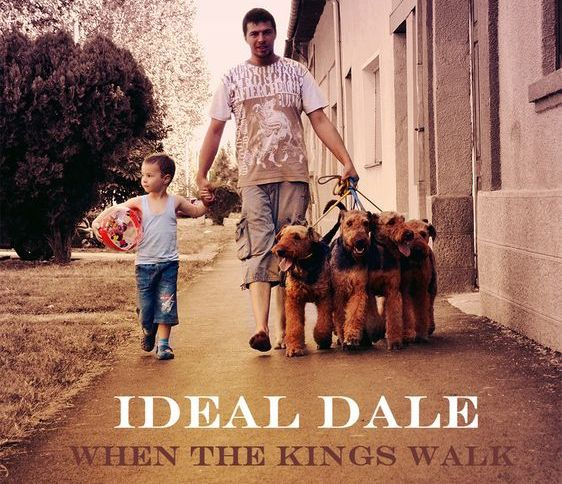 He has registered his personal kennel at FCI named “Ideal Dale”. Furthermore, several champion dogs have been raised in his kennel. 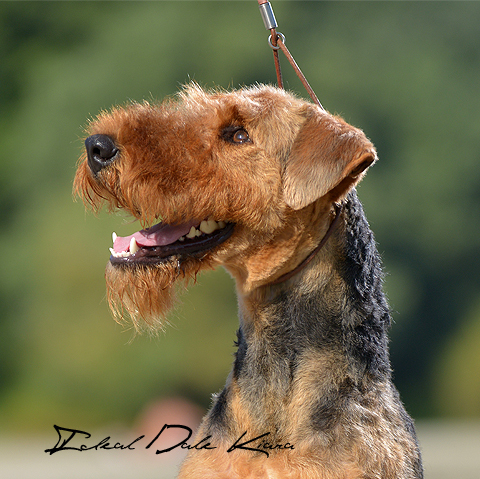 He has breed and has been breeding several breeds such as the English Cocker Spaniel, the Deutscher Jagdterrier, the American Staffordshire Terrier, the Yorkshire Terrier, the Wire Fox terrier, the Lakeland Terrier, the Lagotto Romagnolo and with special passion Airedale Terrier. Mr. Karanović shows great interest in the research work and analyzing of the terriers such as official working and hunting dogs. He had the opportunity to be perfected and working in cynology view across Europe and North America. Mr. Goran Karanović has become a cynology judge in 2015. and the international judge in 2018. For the time being, he has been pleased and honored to judge at several national and international exhibitions as well as specialty exhibitions in Serbia, Bosnia and Herzegovina, Germany and the USA.